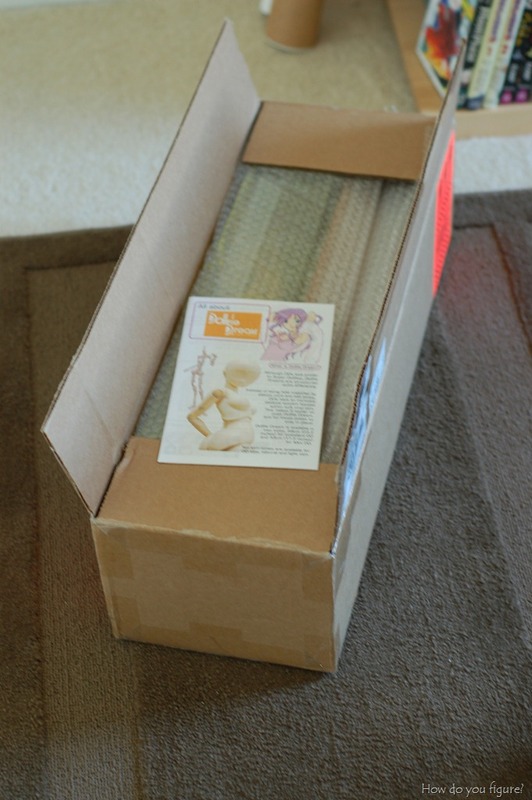 Amami Haruka Dollfie project–Stage 2 – How Do You Figure? 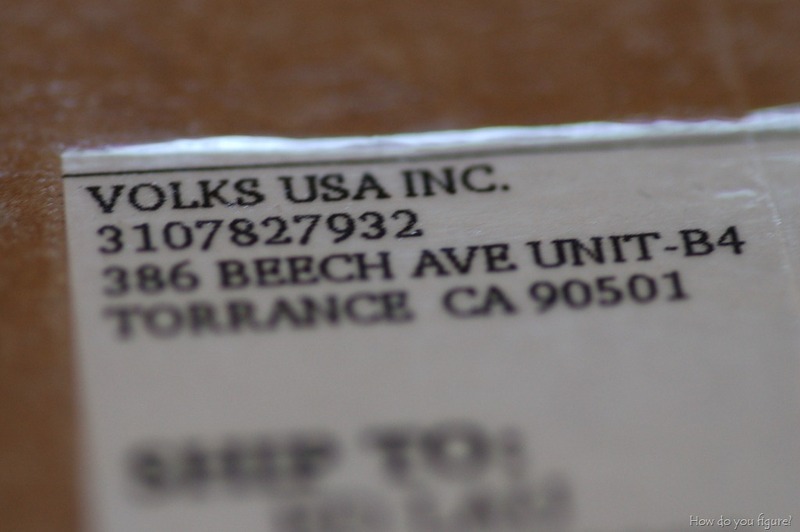 As always, Volks does a great job with making sure the contents are protected without going overboard with packing peanuts and bubble wrap. Unlike some retailers (like newegg.com and monoprice.com), I didn’t have to dig through several layers of packaging to find the prizes. 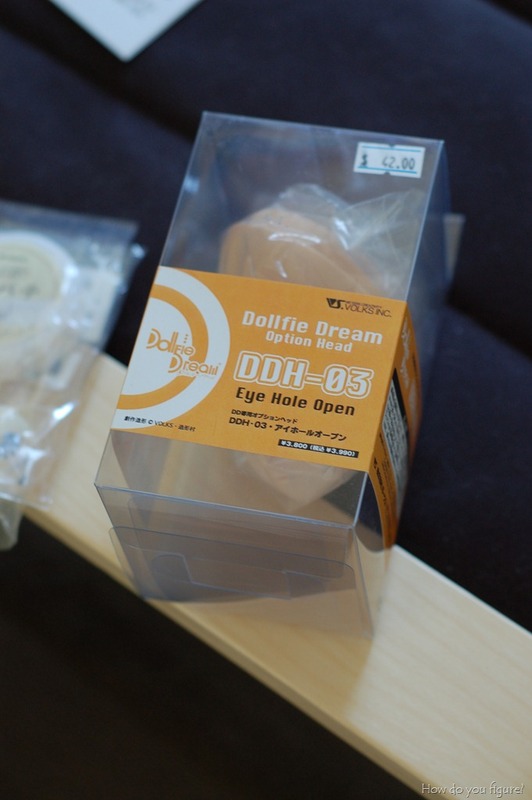 Also included is the latest version of “All About Dollfie Dream,” a pamphlet put together by the folks at Volks USA. My original copy didn’t contain information about the Dynamite Body, which this newer one includes. Here’s everything laid out. 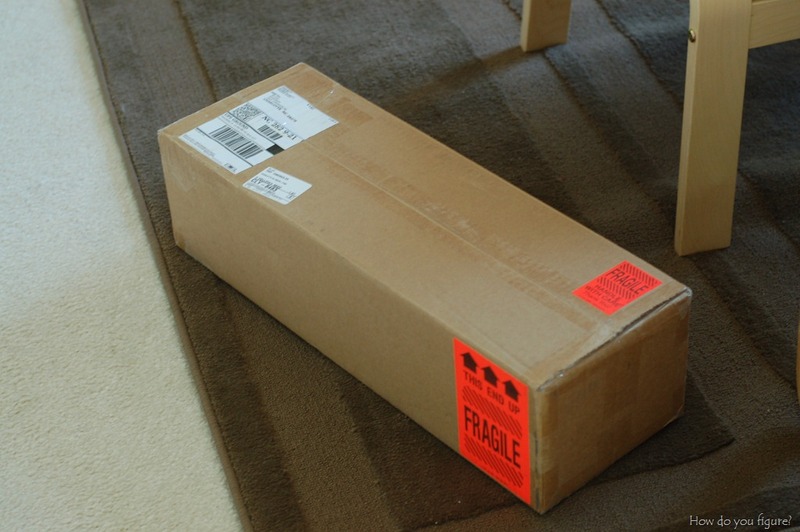 The box for the body was slightly dented in a couple places, but fortunately that didn’t affect the actual goods. The DDH-03 head finally came in stock last week and I jumped on it. 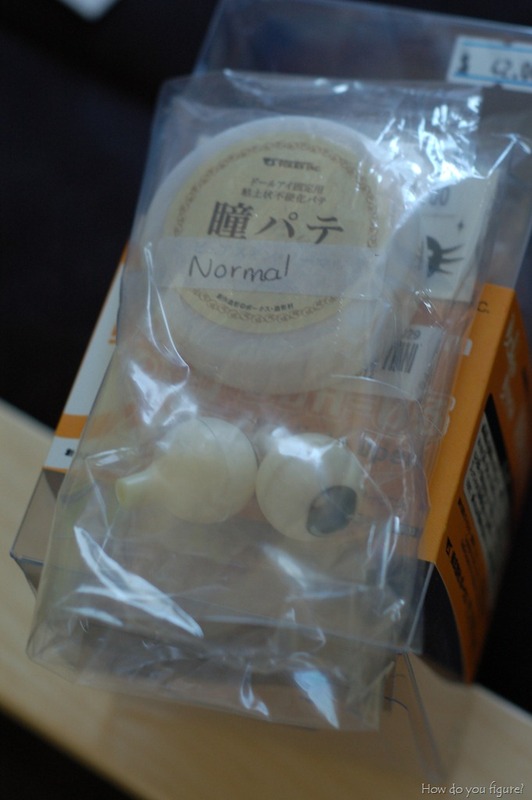 Also purchased were a set of 20mm H-Type animetic eyes in bright green and some Volks eye putty. Since I’d never actually installed eyes before, it took me a good couple tries to get it right. The first attempt didn’t go too badly, but if you look closely there’s a bit of putty showing in the corners of the eyes. 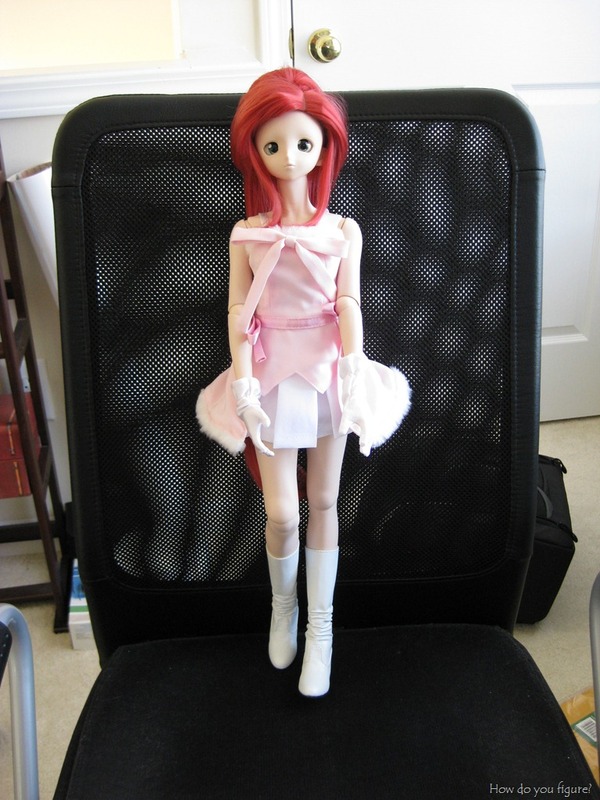 After prying the outfit from Rin, it was time to dress Haruka and make sure everything fit. 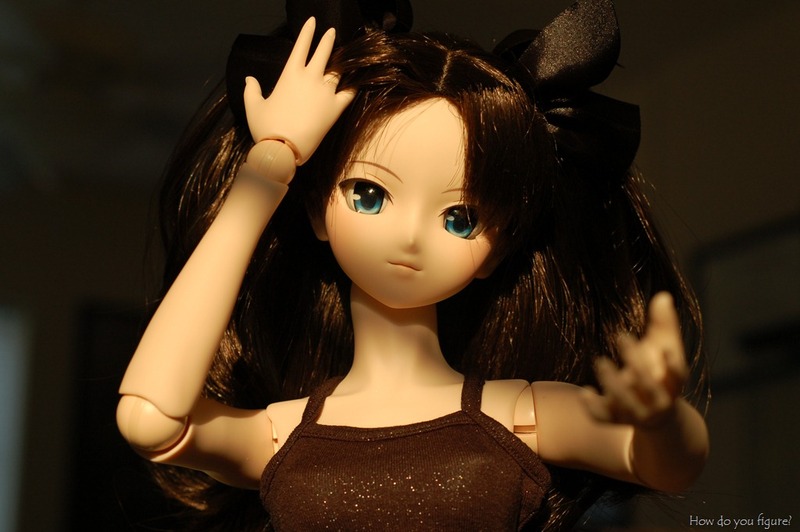 Since I don’t have a wig for her yet, I gave her Yoko’s original wig. 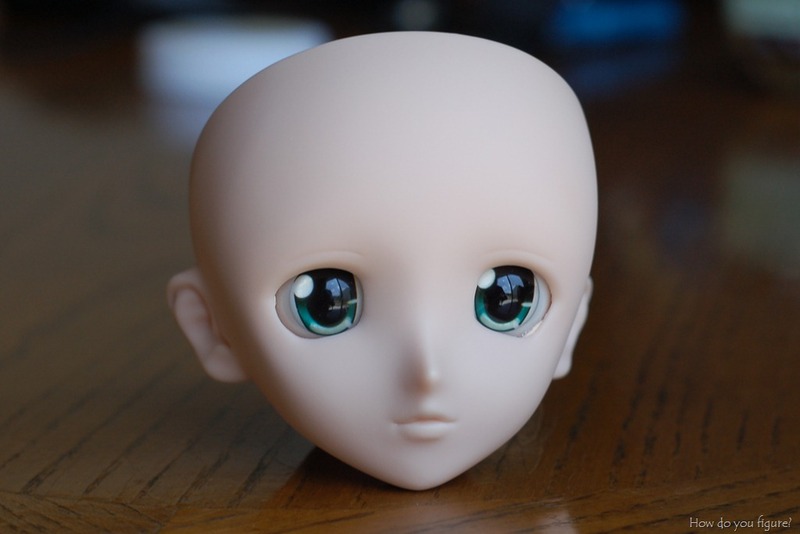 Without a face up, she looks a bit sad… I’m hoping that’ll change in a couple weeks, after I get the head sent off! So how did I manage to get Rin out of the Idol outfit? Well, I made her an offer of something else to try on. Awhile ago, I got a set of outfits called Candy Dots. As a part of the outfit were some nice undies and socks. 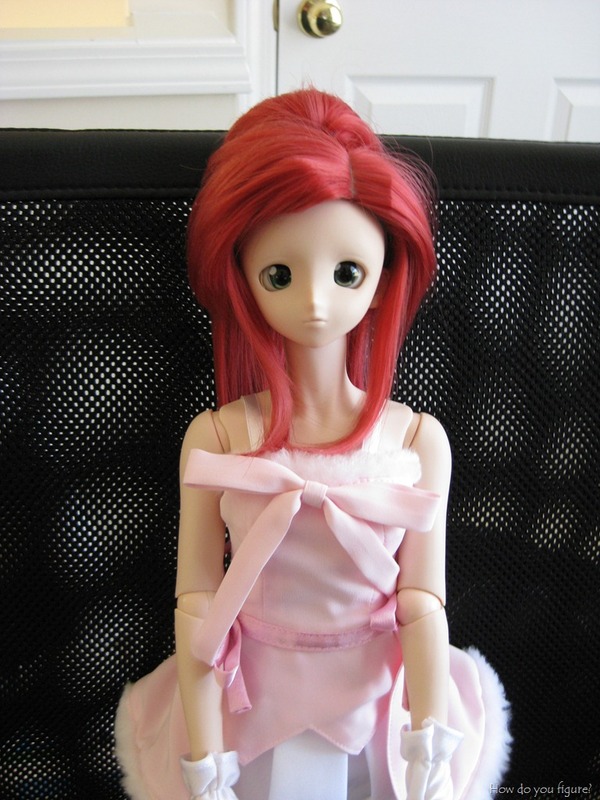 Since Rin saw Yoko try on the other pieces, she wanted a go in the rest! As for Yoko’s current state of dress, she’s now sporting a wonderful pair of jeans, courtesy of Mai Little Alien and shoes from Mimi Woo! Nice looks like Haruka is coming along nicely! Wanted to get some jeans from Mai too, but blue was sold out by the time it was daylight again here. Would have gone for 22mm eyes though. I went with the 20mms because I wanted to leave enough eye white in there. Most reference pictures I’ve found have a decent amount. 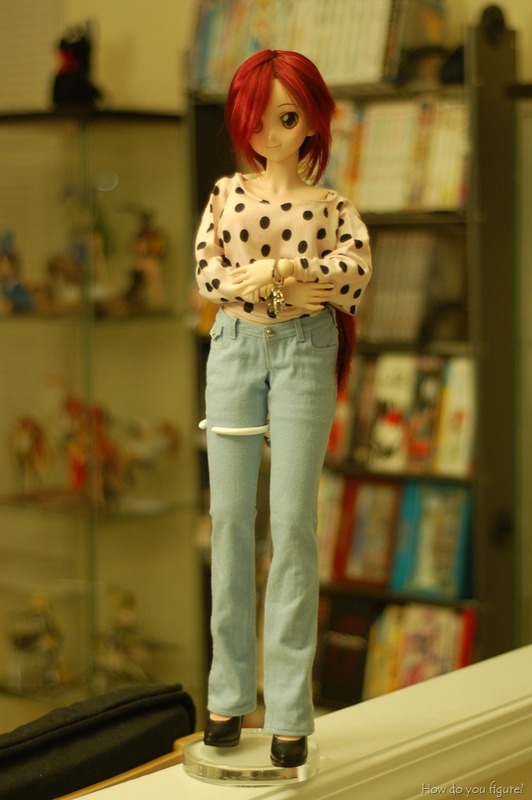 I’m happy I got the jeans though, Yoko finally has a complete casual outfit! wait, which anime is haruka from again? OH YA YA YA! I remember now!!!!!!! !